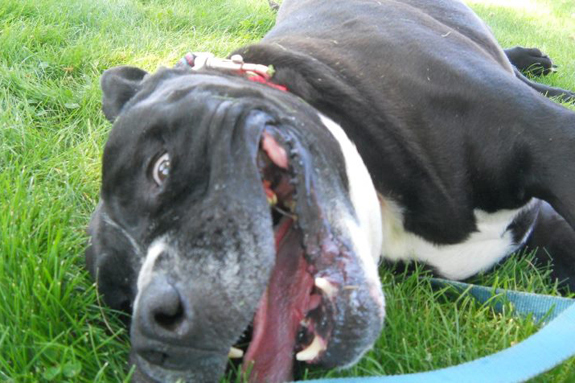 This is the story of Buddha the pit bull. He was found walking on the hot pavement in the middle of the road about five months ago. His feet were hurting and he looked like he was going to fall over. Some friends of mine saw him and stopped their car to see if he was OK. He jumped right in. They brought him up to my home where we gave him water. He just wanted to rest. I have seven dogs already, all rescues. I did not think leaving him at my home would be a good idea, as I have two very jealous dogs already. We drove around the area and stopped at many of the homes in the different housing divisions, but no one recognized the dog. He had no collar and was not microchipped. I volunteer at a small shelter in town, so we took him there. We named him Buddha. 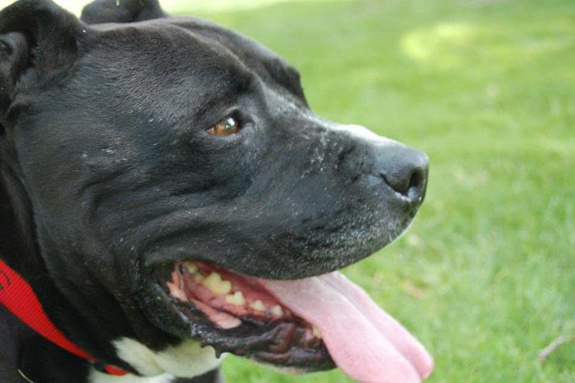 He is a beautiful black American Staffordshire Terrier. He is very smart and very friendly. He is about 7 or 8 years old with a bit of arthritis but still loves to play. Tug is his favorite game! 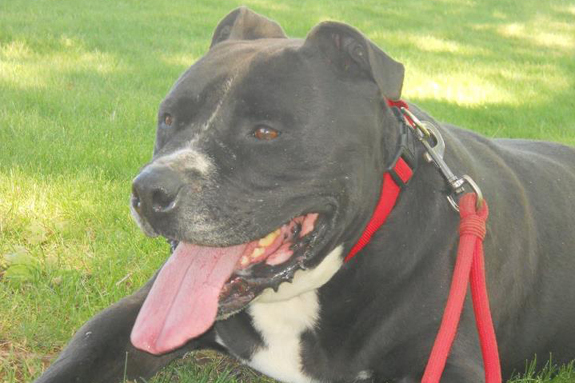 This shelter is small and does not get a lot of traffic through it, but many of the people who see Buddha will comment, “Oh, too old” or “Oh, he’s a pit bull.” How sad. 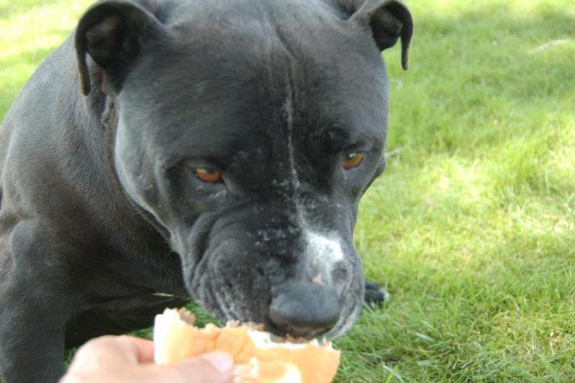 I decided to make him a Facebook page called Wanted: A Home for Buddha the Pit Bull. 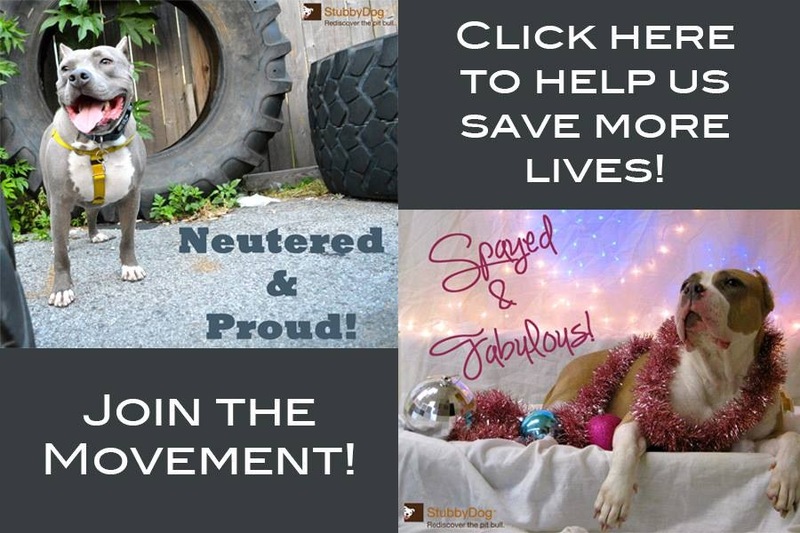 I did this once before for a 10-year-old pit mix who was going to live in the shelter until he died if someone didn’t get him some exposure. Well it worked. 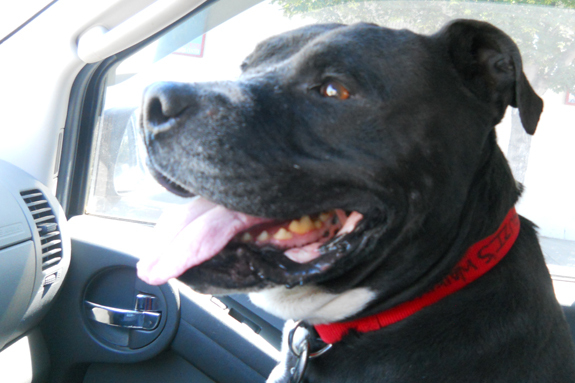 Ox got a great home and is living a wonderful life now. I thought well it worked once, why not again. Buddha has over 100 friends now, and they are all networking him. I know he will get more friends as the weeks pass. A couple times a week I take him for two plain cheeseburgers and then off to the park we go. 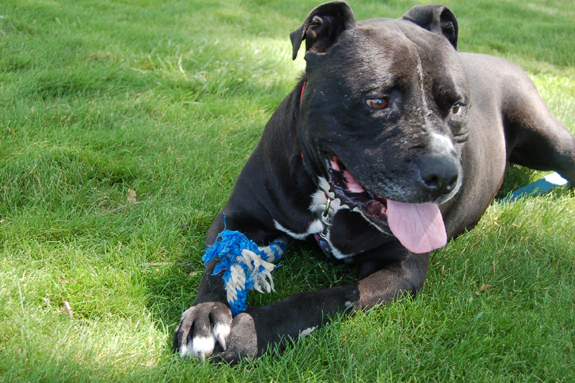 He loves playing in the park and takes his favorite tug rope with him. People look at him and smile when they see his antics. Buddha also loves kids! Two boys about 8 years old came running up to him asking if they could pet him. Buddha seemed pleased with the attention and was soon playing tug with them. I call him Boogee Woogee Buddha Boy from Company D (for dog). His owners never called to see if he was at the shelter. I posted flyers all over town but nothing. 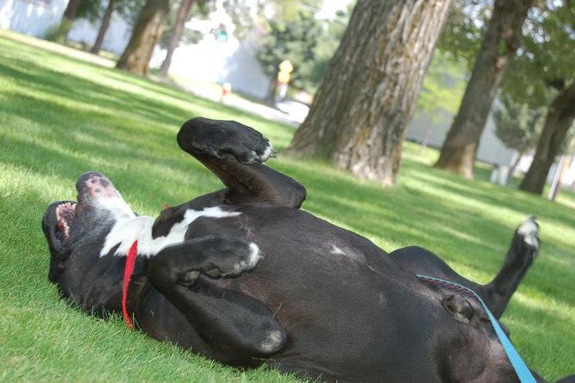 He is a great dog – loving, super smart, knows a few tricks and just wants to be loved. I have grown very attached to Buddha Boy and want to find him a home. 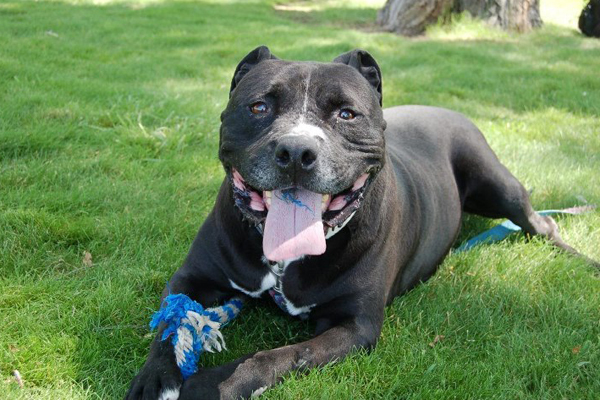 To learn more about Buddha, contact Jefferson County Kennels (541-475-6889), they are located in Madras, Oregon or visit their website. And check out Buddha on Facebook. I can’t understand how this wonderful dog remains un-adopted. He has a large FB following and yet he languishes in a kennel. AnnVanderlaan We agree Ann, he’s a wonderful dog and would make a great addition to any family. We hope he finds his forever home real soon.